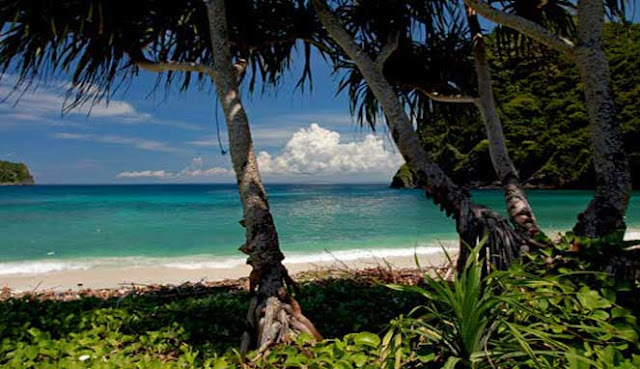 Beauty of Lawar beach beach in West Sumbawa, Indonesia - It has been a long time since West Sumbawa is known for its beautiful and exotic beaches with clean and soft stretches of white sand. 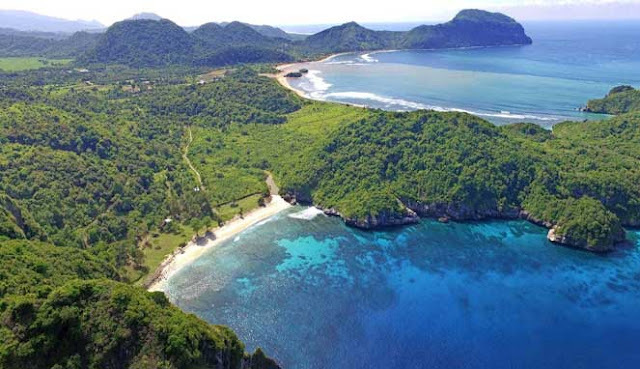 One of the most beautiful beaches in West Sumbawa Regency is Lawar Beach in Sekongkang Bawah Village, Sekongkang District, West Sumbawa Regency, West Nusa Tenggara Province, Indonesia. Well for those of you who want a vacation looking for peace and comfort, the charm of Lawar Beach is very suitable for those who want to be away from the hustle and bustle of the world. This unspoiled and quiet beach is known to have waves that are big enough so it is suitable for those of you who have a surfing hobby. On this beach you will be greeted with a sparkling white sand with clear and calm sea water so it is suitable for those of you who have a diving hobby to enjoy the underwater scenery. Besides that the ranks of steep rocks that flank the beach and green trees that grow around the coastline are perfect for those of you who have a photographer's hobby. Besides having an amazing charm, Lawar Beach has also been facilitated with various supporting facilities such as hotels, bungalows, bars and restaurants. Well for those of you who have a hobby of fishing do not hesitate to try their luck on this beach to get fish like groupers, digging, mackerel and so on. On this beach you can immediately eat fish that you just caught. Guaranteed it will make you addicted to fishing while enjoying grilled fish on this beach. 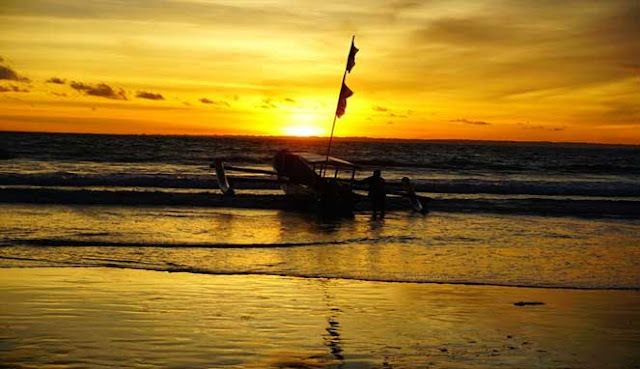 The enchantment of the Exotic Lawar Beach is more beautiful and captivating when the sun (sunset) greets Lawas Beach. Beautiful beach panorama combined with dusk lavender will bring a romantic atmosphere that will spoil your eyes. Access to the location of Lawar Beach. To get to Lawar Beach, you can go through it from Sekongkang by using land vehicles passing through the people's gardens. This sandy beach is smooth, quiet and flanked by two fairly high cliffs. You can also pass it from the city of Mataram by using a private vehicle or public transportation Damri Bus in the direction of Mandalika-Sekongkang with a travel time of about 5 hours.